Worried that your small business will be audited? Knowing the truth behind common myths about audits will help put your mind at ease. Many small business owners fear that their limited resources and do-it-yourself bookkeeping are a recipe for an IRS disaster. My team of tax experts and I work directly with hundreds of small businesses, many of whom are family business owners or sole proprietors just trying to make ends meet. 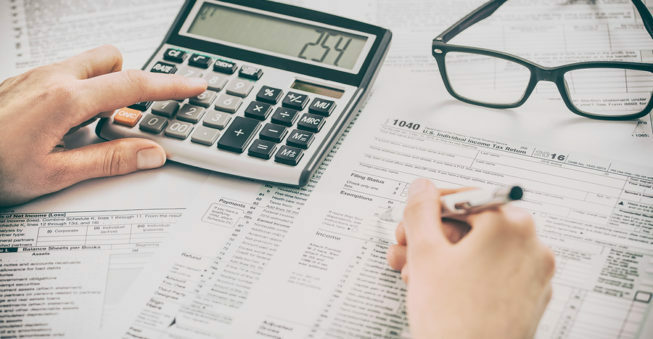 Tax season shines a light on reality for those who have fallen behind on their bookkeeping or who make the late discovery that IRS forms and regulations are too complex for them to navigate. When we get an anxious phone call from a client in one of these situations, the most common phobias they share with us involve audits. They worry that certain deductions, late filings, or the use of a tax professional will trigger an audit, or that the audit process itself is the stuff of nightmares. If you are one of those small business owners who lies awake at night in fear of an IRS audit, with visions of vengeful agents tearing through your office and hauling you off to a dungeon, know that the IRS isn’t out to hunt down people who have made one or two small mistakes and slap them with horrible fines and punishments. For starters, audits are usually either selected randomly or by a computer-based algorithm that looks for anomalies. In addition, you as a taxpayer have many well-documented rights. As long as you are taking reasonable deductions and maintaining a good record-keeping system, you shouldn’t lose any sleep. Sometimes the secret to resting a little easier is making sure you can separate the facts from the myths. Let’s see if we can’t put ourselves at ease by debunking some of the most prevalent misconceptions, shall we? See Also: Personal Taxes Versus Business Taxes: What’s the Difference? If anything, the reverse is true—returns filed electronically, by definition, reduce the opportunity for human error. The IRS does not release exact statistics on whether paper or electronic filings are audited more, but it stands to reason that statistically, more paper returns are audited than those that are e-filed because the latter eliminates some of the missteps that a more manual process might produce. There is no statistical evidence to support this notion, but it stands to reason that the IRS probably looks at a tax return filed after an extension as though the filer applied extra scrutiny to make sure things were done correctly. If your small business needs an extension to get certain paperwork in order, don’t be afraid to request that extension. It is better to take the time to get things right, rather than submit a return with known issues just to meet the deadline. A problematic filing, whether on-time or not, is more likely to result in an audit. Even if it doesn’t, the time and correspondence needed to correct it later aren’t worth rushing to get it in. While it is true that if you have to file an amendment for your business tax return it will be reviewed a second time, keep in mind that it won’t be scrutinized in some terrifying new way. An amended return goes through exactly the same process. Be sure to include a thorough explanation of why you needed to file an amendment and your amended return will most likely be accepted without issue. Nope—in fact, 70 percent of all audits involve only correspondence by mail. If some part of the audit process needs to take place in person, the auditor will schedule an appointment to meet at your place of business. Don’t be alarmed. A face-to-face meeting doesn’t guarantee a bad outcome. In fact, there’s no reason to expect an early in-person discussion to be anything but cordial and drama-free. A meeting won’t be about restitution without the passing of substantial time and exchanges of information. If you’re facing an unpleasant conversation, you’ll know it in advance. Legitimate IRS agents sometimes will try to reach you by phone, but many callers claiming to be IRS representatives are frauds, so you should be cautious. If you are contacted by phone from a purported IRS agent, don’t give any information initially. Ask the agent for their full name and phone number with an extension. One way to protect yourself is to only use the officially published IRS phone number. Explain that you are going to call the IRS main line (800-829-1040) and get back to them as soon as you have verified their information. Also, note that the IRS will never ask you or your employees to give out any personal or bank account information over the phone. It is also worth noting that the IRS will not contact your business via email, so be on guard for any email scam attempts. You shouldn’t worry about the number of business deductions you claim as long as you are certain they are legitimate and you can document them. It isn’t the number of deductions that can trigger an audit, but rather highly unlikely deductions (you donated more to charity than your business earned in profit, or your accumulated deductions amount to negative income). Once upon a time, claiming a home office deduction did, in fact, tend to trip up more filers. However, working from or operating a business from home is becoming more and more common. The IRS seems to recognize this fact and has made it easier over the years to claim the home office deduction. This deduction is no longer a red flag for an audit, so long as it falls clearly within the IRS rules—in other words, the space claimed must be used exclusively for business purposes, and it must also be the principal place of business or a place where you regularly meet with customers or clients. If there’s a silver lining to being audited, this is surely it. Just because you are being audited does not mean you will have to pay more to the IRS. Usually, audits involve simple and quick fixes or clarifications. Often you won’t end up owing anything more. Sometimes the audit will even uncover deductions you might have missed, reducing what your business owes or entitling you to a refund. The IRS does not consider your use of an accountant to prepare your business taxes as a determining factor in selecting you for an audit. The IRS uses a computer algorithm to flag returns for auditing. If anything, a knowledgeable accountant can make sure you take the right deductions, properly complete and submit the right forms, and help you keep your story straight from one year to the next (for example, correctly claiming multi-year deductions like depreciation). Luckily we don’t live in a Charles Dickens novel and debtor’s prisons went out of fashion centuries ago. In the United States, people are not jailed for owing taxes (for cheating on taxes, yes—just ask actor Wesley Snipes). Yes, there are significant repercussions to owing taxes you can’t pay. The IRS can garnish wages and place liens on a property, and in the end, some taxpayers even find themselves facing bankruptcy. The good news is that the IRS will work with a taxpayer who is earnestly trying to resolve back taxes, agreeing to payment plans and reductions of total amounts owed. If you find yourself in this situation, the worst thing you can do is simply avoid the issue. Communicate clearly with the IRS or engage a tax relief expert to begin getting yourself out of trouble. This is certainly not true. While the likelihood of an audit increases with higher income levels, a business of any size can be audited. On a personal tax note, if you are using the earned income tax credit, make sure that you are using it correctly. Misapplication of this credit has triggered many audits at lower income levels. Wouldn’t it be nice if this were true? Unfortunately, this isn’t the case. Receiving your check just means the IRS has initially agreed with your return calculations and is staying in compliance with its statutes for refunds. In reality, the IRS typically won’t audit your return within a year. In fact, the IRS can include returns filed within the last three years in an audit and add three more if they find errors. Not only that, but statutes of limitation extend further in incidents of fraud. This means if the IRS finds fraudulent deductions or figures in an audit, they can go back many more years looking for further errors or evidence of criminal activity. This should be inspiration enough to keep filers honest—it’s a miracle some continue to learn this lesson the hard way. Sorry, no dice. If your business owes taxes they are typically due by March 15th if your business is an S-Corp, or April 15th if it’s a C-Corp, even if you have requested or been granted an extension to file your actual return. As a note, partnerships don’t actually pay federal taxes; instead, their income passes through to their partners—refer to the IRS’s handy online calendar for businesses and self-employed persons for lots more tax-related dates. This is certainly not true. The more aggressive a return (for example, one with deductions that aren’t typical for the type and size of the business), the higher the chances of an audit, whether or not they’re prepared by professionals. Also, people working for big tax prep agencies don’t necessarily have lots of experience, so choose wisely. Be especially wary of tax preparers (who are not accountants) advertising big refunds. Instead, build a long-term relationship with a reliable bookkeeper to keep your financial house in order and seek out an actual CPA to help prepare your return. Your chances of being audited have nothing to do with when you file. Again, it usually takes the IRS at least a year and often more to get around to audits, so your specific filing date really won’t affect your audit risk. Hopefully, clearing up these common misunderstandings about audits will help you focus on the task at hand—managing your business. When it comes to filing your tax return, just do your best to report everything honestly, keep your documentation for at least six years, and remember that the IRS only audits a small percentage of returns. Just don’t panic if the unlikely happens and you do get an audit notification letter from the IRS. It truly isn’t the nerve-wracking stuff of nightmares. Jacob Dayan is partner and co-founder of Chicago-based Community Tax, a national provider of tax resolution, tax preparation, bookkeeping, and accounting services.